EXCLUSIVE SALE - GET 50% OFF TODAY! The tapestry is a beautiful Mandala shape and design, representing the universe in Hindu and Buddhist symbolism. The Mandala is a symbol in a dream, representing the dreamer's search for completeness and self-unity. Bring unity and balance to yourself. 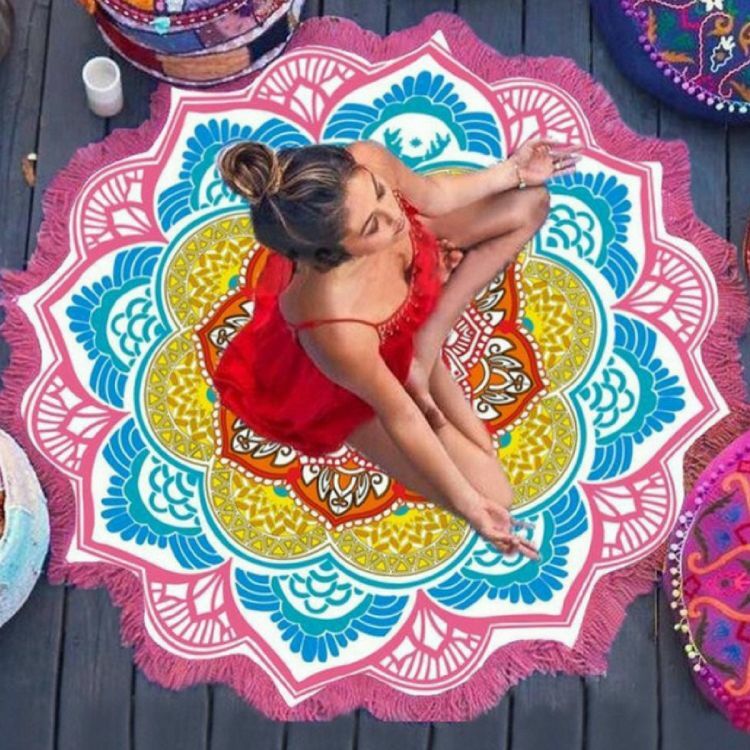 These are not just gorgeous tapestries; it also serves as an outdoor park picnic, yoga & meditation mat, a beautiful indoor/outdoor tapestry, a mat to relax on, a décor piece, a wall hanging, a tablecloth & more. These tapestries are made to be soft to touch and comfortable. Machine washable, cold water and dry clean which makes it easy to clean. It can also be the perfect gift for your yoga teacher and practitioner friends. CHOOSE YOUR COLOR, HIT ADD TO CART NOW!